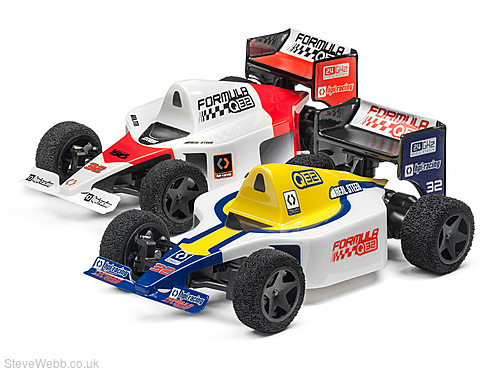 When you want wheel-to-wheel formula racing action at home, you have to check out the tiny and fun Formula Q32! 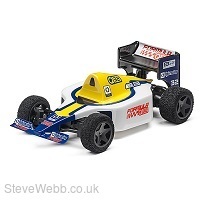 This palm-sized racer features the look and the styling of classic open-wheel racers combined with the ease of a pre-built and ready to drive rear-wheel drive racing car. 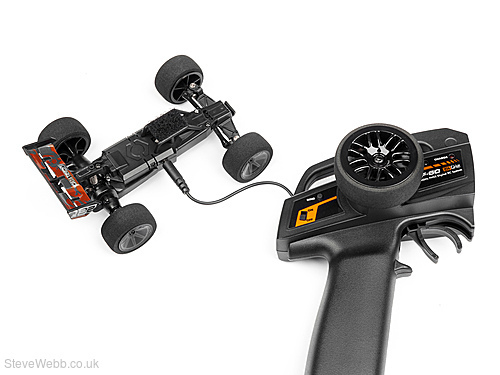 Painted in cool retro colors, the Formula Q32 is a great way to get creative and have fun as you make your own grand racing circuit at home: on your dining table, in the kitchen or in your garage - check out the HPI Q-Club for downloadable track pieces! The Q32 features a 2.4GHz controller which doubles as a car charger, foam tyres for traction on tile and carpet and RealSteer technology for a real driving experience!